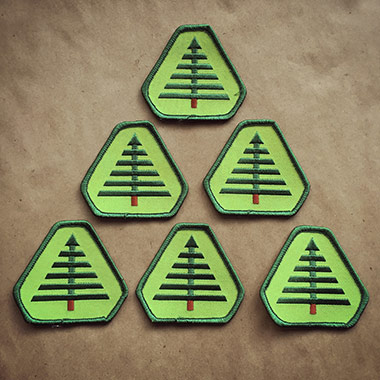 Draplin Design Co.: NOW SHIPPING: DDC-157 "Thick Line Tree" Souvenir Patch! NOW SHIPPING: DDC-157 "Thick Line Tree" Souvenir Patch! These would be super rad on a trucker hat. I would wear that on so many camping trips.